This tutorial is focused on mutual intersection of a few interesting fields of research whose core topic are bio-inspired algorithms in general. It discusses recent progress in bio-inspired algorithms that can be used for control of complex systems including swarm based systems. Bio-inspired algorithms, based on its nature, are capable of real-time control of various systems, as will be reported and discussed in this speech. 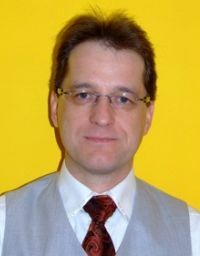 Ivan Zelinka (born in 1965, ivanzelinka.eu) is currently associated with the Technical University of Ostrava (VSB-TU), Faculty of Electrical Engineering and Computer Science. He graduated consequently at the Technical University in Brno (1995 – MSc. 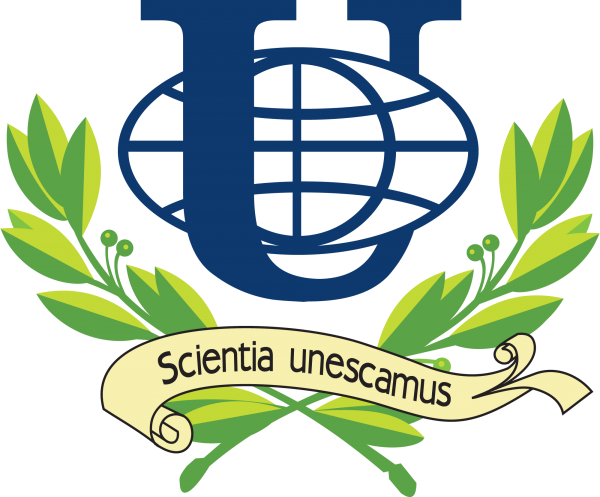 ), UTB in Zlin (2001 – Ph.D.) and again at Technical University in Brno (2004 – Assoc. Prof.) and VSB-TU (2010 – Professor). Prof. Zelinka is responsible supervisor of several grant researches of Czech grant agency GAČR as for example Unconventional Control of Complex Systems, Security of Mobile Devices and Communication (bilateral project between Czech and Vietnam) and co-supervisor of grant FRVŠ – Laboratory of parallel computing amongst the others. He was also working on numerous grants and two EU projects as member of team (FP5 – RESTORM) and supervisor (FP7 – PROMOEVO) of the Czech team. He is also head of research team NAVY http://navy.cs.vsb.cz/. Prof. Zelinka was awarded by Siemens Award for his Ph.D. thesis, as well as by journal Software news for his book about artificial intelligence. 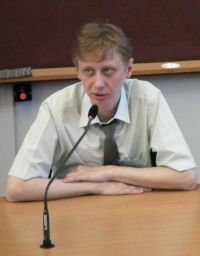 He is a member of the British Computer Society, Machine Intelligence Research Labs (MIR Labs – http://www.mirlabs.org/czech.php), IEEE (committee of Czech section of Computational Intelligence), a few international program committees of various conferences, and three international journals. He is also the founder and editor-in-chief of a new book series entitled Emergence, Complexity and Computation (Springer series 10624, see also www.ecc-book.eu). attributes such as smart, connected, energy efficient, and sustainable. Data science offers a unifying approach to modeling modern systems. Two application domains, manufacturing and wind energy, are used to illustrate modeling from data. Manufacturing is usually associated with transforming raw materials into products and goods. This transformation is accomplished in discrete and continuous processes across different industries, ranging from food processing and production of home appliances to electronics and aircraft industry. Manufacturing is evolving and the rate and type of changes are going to be profound in years to come. New materials (e.g., smart materials) and processes (hybrids of additive and subtractive manufacturing) will lead to design of products with unprecedented functionality and adaptability. What today is an independent component (e.g., a sensor or an integrated circuit) it will become an integral part of a product manufactured from different materials exhibiting different properties. Wind energy has emerged as the dominant renewable energy alternative. Other ways of energy generation are researched. Similar to manufacturing, the electricity life cycle is a highly multidisciplinary process awaiting new solutions. It is widely recognized that design of innovative solutions considers data streams originating at users, experts, energy flow, and the cyberspace. Data science offers tools for fusing the diverse steams of data that would not be possible with traditional modeling or simulation approaches. The concepts discussed in the presentation are illustrated with industrial examples. Dr. Andrew Kusiak is a Professor in the Department of Mechanical and Industrial Engineering at The University of Iowa, Iowa City and Director of Intelligent Systems Laboratory. He has served as chairman of two departments, Industrial Engineering (1988-95) and Mechanical and Industrial Engineering (2000-05). His current research interests include applications of computational intelligence and big data in renewable energy, automation, manufacturing, product development, sustainability, and healthcare. He is the author or coauthor of numerous books and hundreds of technical papers published in journals sponsored by professional societies, such as the Association for the Advancement of Artificial Intelligence, the American Society of Mechanical Engineers, Institute of Industrial Engineers, Institute of Electrical and Electronics Engineers, and other societies. He speaks frequently at international meetings, conducts professional seminars, and consults for industrial corporations. Dr. Kusiak has served in elected professional society positions as well as various editorial boards of over fifty journals, including five different IEEE Transactions. Professor Kusiak is a Fellow of the Institute of Industrial Engineers and the Editor-in-Chief of the Journal of Intelligent Manufacturing. Besides his academic appointment at the University of Iowa, he holds Distinguished Adjunct Professorship at King Abdulaziz University, Jeddah, Saudi Arabia and Visiting Professorship at the University of Hong Kong. His past academic appointments, include the Technical University of Nova Scotia (now Dalhousie University) and the University of Manitoba in Canada, as well as visiting positions at University of Lion, Institut National Polytechnique de Grenoble, and University of Nancy, France. His graduate students have assumed prominent positions in academia and industry. 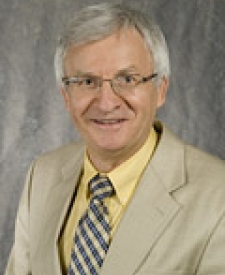 Dr. Kusiak has co-advised PhD students at University on Munich, Germany and Institut National Polytechnique de Grenoble, France. The lecture is focused on the applications of evolutionary computation methods for the control system synthesis problem in robotics. The report discusses problems that arise in the control of robotic formation and presents evolutionary computation techniques that try to solve them. 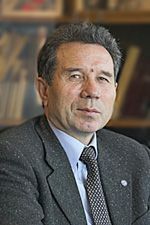 Askhat Diveev (born in 1954) is currently the head of cybernetic problems sector at the Federal Research Center “Computer Science and Control” of Russia Academy of Sciences and head of Department of Cybernetics and mechatronics at Peoples’ Friendship University of Russia. 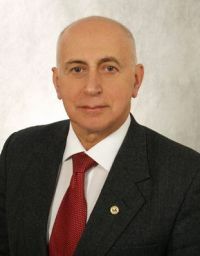 He graduated Bauman Moscow State Technical University in 1980, candidate of technical sciences in 1989, doctor of technical sciences in 2001, Professor in 2009. 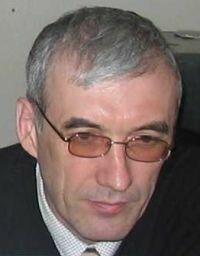 Prof. Diveev is the author of 4 books and more than 250 papers. Prof. Diveev is an inventor of the network operator method (2006). The method allows to find the structure and parameters of mathematical expression by the means of computational techniques for a number of problems in systems control and identification. At present Prof. Diveev uses this network operator method and other symbolic regression methods for solving the control synthesis problem for group of robots. Cloud computing is a paradigm for hosting clusters of data and delivering different services over the network or Internet. Cloud computing is based on known technology of virtualization of systems in large data centers and the use of existing communication channels. Currently, capturing and processing big data are related to improving the global economy, science, social affair, education and national security; processing of big data allows us to propose accurate decisions and acquire knowledge from raw data. Cloud computing has several capabilities for supporting big data which are related to handling of big data. With the growing popularity of cloud services not only the scope and types of services expand (IaaS, PaaS, SaaS), but also the need for new solutions, “cloud” of tasks: providing security and data integrity, quality of service, construction of systems of data flow management and principles for data distribution in the cloud. All of this determined a large amount of scientific research with respect to the clouds that allows us to speak about current complex technologies – cloud technologies (cloud computing technology). Cloud computing could address two major issues: big data storing and computing. Cloud computing provides a cluster of resources for storage and computing that could be expanded anytime. These features allow cloud computing to become an emerging technology for dealing with big data. Hybrid architecture at first glance seems to be optimal – it can provide distributed computing and guaranteed security. However, this data network creates a lot of features. These questions are consecrated in the plenary talk. Locomotion of mobile robots over surfaces and in various media can be based upon different principles. The most widespread types of locomotion are motions using special outer devices like wheels, legs, tracks, and propellers. Also, locomotion of multibody systems can be based upon periodic change of configuration of the system. In the paper, such types of progressive motions for multibody robotic systems are discussed and illustrated. Some of these types of locomotion are similar to those used by living organisms: animals, fish, and insects. Other types have no obvious analogs in the nature. The following locomotion principles are discussed. Snake-like motions based upon periodic twisting of the multibody system consisting of several rigid bodies connected by joints. Quasistatic motions of multibody systems over a horizontal plane. Motions of a chain of rigid bodies over a plane or inside resistive media. Swimming multibody systems similar to fish and frogs. Systems containing internal masses that perform special periodic motions within the main body; such systems can be hermetic and can move in various resistive media and inside tubes. A number of optimization problems are considered for multibody systems discussed in the paper. Optimal values of system parameters and optimal controls of actuators are found that correspond to the maximum locomotion speed. Examples are presented. The lecture is focused on the problems of control systems intellectualization. The hierarchy of levels of intellectual control observed and comparison analysis of different artificial intelligence means are given. Importance of automation of setting the control goal in control systems is pointed out, as well as intellectualization of anthropocentric systems, including the ones based on fuzzy logic and case-based reasoning. The logical-linguistic, analytical, learning and PID fuzzy controllers are considered, based on fuzzy logics of Zadeh. An overview of the Mamdani-type controllers, controllers based on TS-model and the ANFIS architecture, using neural network structure is provided. The conditions of optimality and stability of control systems with Mamdani fuzzy controllers are analyzed. The Sugeno dynamic models and the ANFIS adaptive models and the methods of learning developed on the basis of fuzzy controllers are considered. The examples of the fuzzy controllers application are presented. Vassilyev Stanislav Nikolayevich, Doctor of physics and mathematics, professor, Academician of the Russian Academy of Sciences. He is the Chairman of the Research Council on the Theory of Controlled Processes and Automation of the Russian Academy of Sciences. He is the Chair of Physical-Mathematical Control Methods, Faculty of Physics, M.V. Lomonosov Moscow State University. Vassilyev is the expert in the field of control theory, mathematical cybernetics, and system analysis. The basic works are devoted to development of methods of nonlinear analysis and artificial intellect in regard to systems with controls. He graduated from A.N. Tupolev Kazan Aviation Institute (1970) and worked there in 1970-1975. 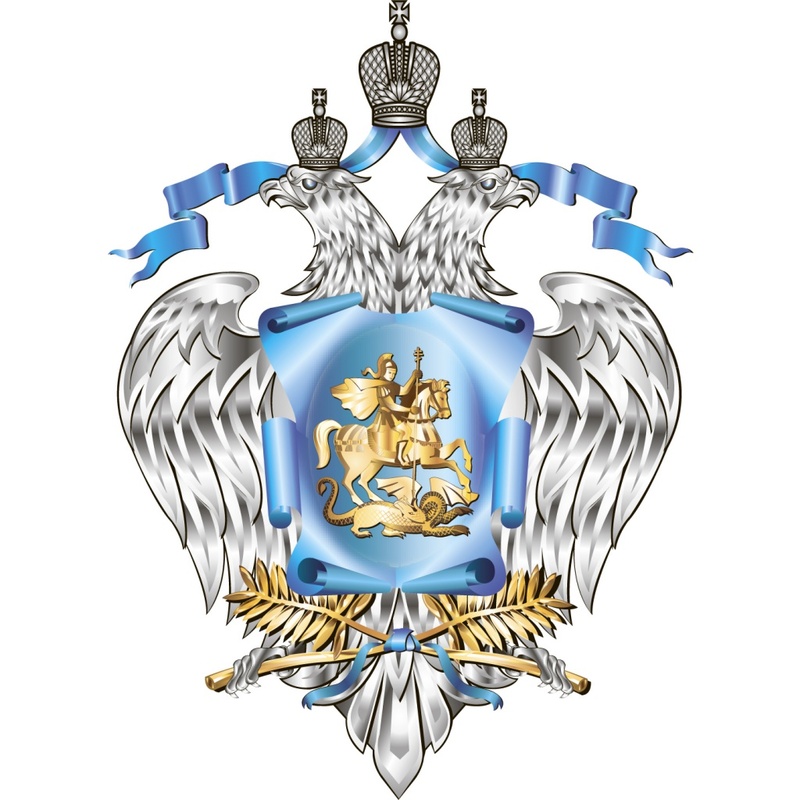 Since 1976 he worked at the Siberian Power Institute of Siberian Branch of the Academy of Sciences of the USSR. From 1989 – the Deputy Director of Irkutsk Computer Center, SBAS USSR, from 1991 till December, 2006 – Director of the Institute for System Dynamics and Control Theory of Siberian Branch of Russian Academy of Sciences. 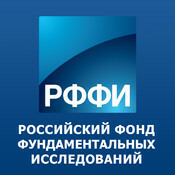 Nowadays he is the Director of V.A.Trapeznikov Institute of Control Sciences, Russian Academy of Sciences. Vassilyev is the winner of the USSR State award in the field of science and engineering (1984). He is awarded by the Order of Honour (1999), the Order of Friendship (2006), the medal “For Distinguished Labor” (1988), and S.P. Korolev Medal (1994).